Forests play a vital role in stabilising the climate, but in spite of recent efforts to combat deforestation, many of the world’s ecosystems are under threat. Striking the balance between the population’s demand for natural resources and the need for conservation requires exhaustive and comprehensive data to help politicians and resource managers make responsible decisions, and to empower indigenous people and environmentalists to challenge illegal deforestation. Global Forest Watch (GFW) can provide this information. GFW monitors the world’s forests using high-resolution aerial imagery from NASA’s Landsat satellite and information from scientists on the ground to keep watch on the health of global forest ecosystems. GFW works in collaboration with FORMA, SAD, NASA, Google and the University of Maryland to collect data on forest change, showing global tree cover loss and gain, which is displayed on an interactive map. The platform also allows for the monitoring of forest fires, highlights protected areas and biodiversity hotspots, and shows forest usage with contextual information such as agricultural production. The collected information is updated monthly, giving much more up-to-date overviews of the state of the forests than ever before – it’s as close to real time as possible. The data is freely available and easy to access, building a feeling of global community for the users of the platform. 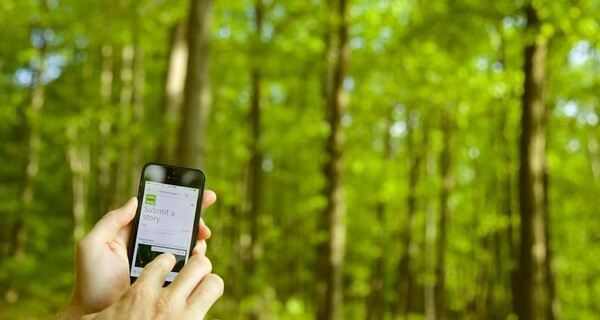 Users can create custom maps, analyse forest trends and download detailed data on any forest in the world. Users can also share photographs and videos of their local forests using GFW’s crowdsourcing tools, blogs and forums, and so adding their eyes to the forest watch and increasing the accuracy of the data. Visit the website http://www.globalforestwatch.org/getinvolved to find out how you can contribute and do your bit for the conservation of our forests.